[By Nick, For 2014 & 2015] ‎As you might have noticed, I haven't been a fan of all of these companies jumping on the gelato bandwagon. However, I was actually excited when I heard Graeter's getting in on the action. If there's anyone who understands the craft and tradition behind their products, it would be them. I mean their normal ice cream is one of the densest you'll find on the market due to their french pot process. The fact that they don't cut corners and use high quality ingredients doesn't hurt either. The folks over at Graeter's offered to send me samples of their new gelato flavors and I don't know anyone who could say no to free gelato. When they arrived, I was happy to see I got two of the non-standard flavors: Hazelnut Truffle and Caramel Truffle. Seeing as there's been a hazelnut boom as of late, let's start there. My word is this stuff dense. 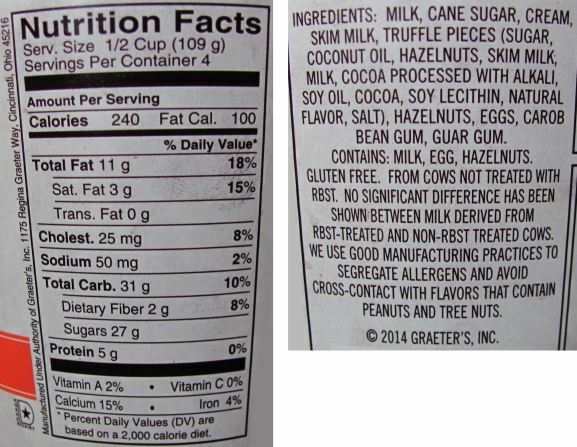 While the nutritional info says it’s not as dense as their standard ice cream, I’d argue and say it’s thicker which is a feat among itself. Next to G.S. Gelato, this is the most authentic gelato texture I’ve experienced coming from my freezer. 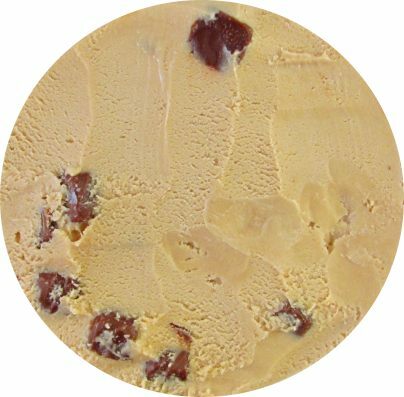 Unlike their limited edition Strawberry Chocolate Chip ice cream, they nailed the hazelnut base here. They might have done it a little too well though. I'm indifferent when it comes to the flavor of hazelnuts but this base is very strong and almost overpowering. It's definitely stronger than Ben & Jerry's version though I can't comment on Talenti's version just yet. Thankfully this is Graeter's and they don't skimp on the mix-ins. 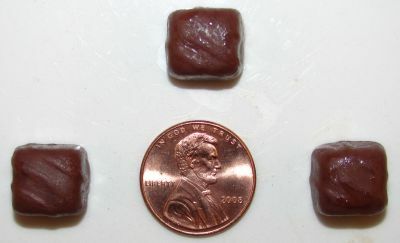 While the truffles aren’t massive like their chocolate "chips", their flavor is. There are only two words I can use to best describe these little gems of perfection: Nutella Truffles. You read that right. These babies taste as if they were filled with nutella and I wouldn't mind if Graeter's were to send me a whole box of just them *cough* please *cough*. The truffles' high quality chocolate shell also helps in alleviating the intense hazelnut flavor from the base which is very much appreciated. Sadly though, there just isn't enough room for the truffles to take over flavor control and infact the base tends to drown them out on occasion. My recommendation is to let the ice cream melt away in your mouth first and then bite into the truffles for the best experience. If I was to change this flavor, I would've incorporated a chocolate swirl so the base would also have that nutella vibe like the truffles. 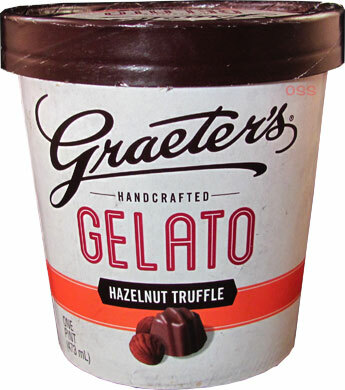 However, this flavor is called Hazelnut Truffle and I believe Graeter's has achieved on that front. I'm now even more excited to break into the other gelato they sent me. Verdict? For hazelnut lovers but yeah, Nutella. Truffles. Buy Again? I'd rather just ‎have the truffles. Thank you for your nice comment on GS GELATO. My name is Simona Faroni. My Husband Guido and I are the owners of GS Gelato. It is always refreshing to hear when someone feels the passion of our products. We would love to invite you to Florida for a tour of our plant!! you can have all the gelato you want!! Hi Simona, I have actually talked with Guido through Emily Rodgers awhile ago when I was sent some samples to review. I'd love to go on a tour of your plant! Please email me at nickrovo[at]gmail[dot]com so we can discuss that more.